While it’s never been faster or cheaper to jump online and create a website of your very own, that’s not what we’re talking about here. We’re also not talking about building a website to support your existing offline business, or even starting an online business from scratch. In this article, we’re specifically discussing purchasing an existing online business (comprised of one or more online assets, including websites, domain names, e-mail lists, etc.) for the purpose of maintaining, growing, or in some other way profiting from its commercial use. With that established, it should be easier to understand why this article isn’t going to cover the kind of stereotypical “start your own website for fun and profit” advice you’ve read a thousand times. Or, at least, it’s not going to hit those topics in the same old way. The days of guaranteed digital success are long gone. Today’s reality is that the internet offers seemingly limitless income potential but the competition is absolutely fierce. Buying an existing online business can be a smart and effective way to hurdle many of the barriers to success online entrepreneurs face when starting from scratch, but it needs to be approached with the same common sense and due diligence you would apply to buying any other kind of business. One of the first considerations is what platform the website is built on. The most popular platforms for professional and commercial websites these days include Wordpress, Joomla, and Drupal, which are actually Content Management Systems (CMS) that have evolved through use and engagement into full-fledged website building platforms with a wide range of design templates, add-on features, and active support communities. Other smaller - but popular and growing - website building/hosting solutions include Wix, Squarespace, Weebly, HubSpot, and DudaOne. Most hosting providers - like GoDaddy and HostGator - also offer their own proprietary website building functionality or instant access to one of the more popular platforms already listed. 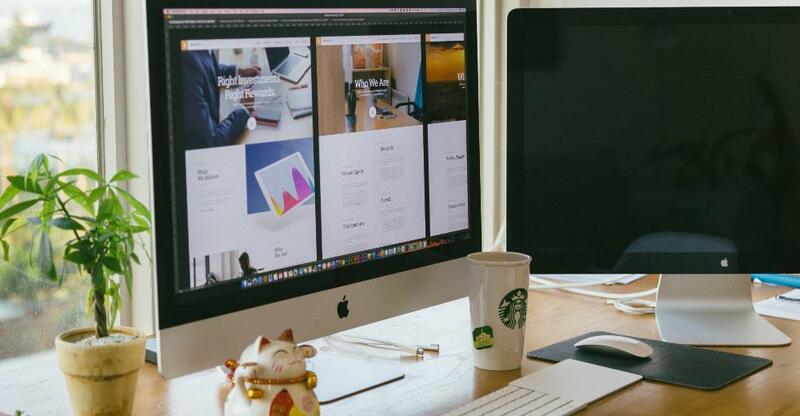 Beyond these popular, template-based options, there are still plenty of beautiful, professional websites available that are custom designed and coded from the ground up using HTML, CSS, and an array of other development languages. Every platform has its own set of pros and cons, and if other aspects of a given website’s situation are optimal, this doesn’t need to be a deal breaker; you can likely learn what you need to know and/or find adequate help online for websites developed on any of these platforms as well as custom designs. But doing so will require various investments of time, energy, and money. The history of a domain or website has a dramatic impact on its current and future chance of commercial success. It’s vital to gain access to detailed analytics reports and historical information regarding any online property you’re considering purchasing, and if the seller is hesitant to provide any important historical information, take that as a bad sign and walk away. Age of the domain - Domains that have been around for a short time will often perform poorly in search engines even if every other important SEO factor is spot on. If you’re willing to invest and wait for your return, that’s fine. If you’re looking for instant breakeven or profit, limit your short list to domains that are one or more years old. Any Google penalties - When Google puts the hammer down on a domain for black hat SEO tactics or any other reason, it’s notoriously difficult to save it. It can be done, but it takes a lot of time and effort that could better be spent working with a different property. Design and development history - How long ago was the current site designed and developed? Who was involved? Has routine maintenance been done? How long did development take and how much did it cost? Eventually you’ll need to repeat or build on the process, so all these answers serve as warnings and/or stepping stones. Growth trends - Has traffic/ranking/conversions etc. grown steadily or abnormally? Steady growth likely indicates strong, ethical SEO and marketing efforts at work. Huge peaks and valleys may be a sign of experimentation, heavy spending on paid advertising, or less-than-ethical SEO tactics, all of which you need to be aware of. The bottomline key when reviewing a site’s history and metrics is to make sure you feel comfortable taking on ownership considering how the property has been managed thus far. While nearly everything about a website can be improved and optimized given enough time, if you’re going to be starting in a deep hole, you may be better off moving on. Does the website have a clearly defined target audience that it’s successfully reaching? And if so, does that audience match or nicely complement your existing or prospective audience? While content can be changed, keywords can be manipulated, links can be established, and just about everything else you can imagine can be done to affect change on a website, there’s essentially no reasonable way to transplant one established target audience with another. Just look at Tumblr as an example: no matter how much they (and parent company, Yahoo!) would like to make the blogging site attractive to wealthy adults and businesses, it remains an online clubhouse for high school and college-aged ubergeeks and fandoms. SnapChat is the exception that proves the rule, and not a fully convincing one at that. As has already been touched on in a few different ways, optimizing a website for search can be a time- and labor-intensive project, and a costly one. Your best bet if you’re considering buying a website is to seek out a site that already has good to excellent search results established over a long period. Then, ensure that the keywords and phrases they’re already ranking for match well with the target audience you share in common. Finally, think about how likely it is for the current SEO situation to be sustainable over the long term. That’s not to say that you can expect the site to remain relevant in search results without any ongoing maintenance or effort. Rather, are the words and phrases that are currently bringing in good traffic highly fad-related or will people likely still be using them when performing searches in six months or even six years? As with any commercial enterprise, investing in buying a website is a foolish waste of money if it’s not making any money now and if there’s no realistic plan that foresees it turning a profit in the future. While internet juggernauts like Amazon and eBay famously operated at a loss for years while absorbing billions in investment capital, the current online investment situation simply won’t support the outrageous antics of the 90’s dot-com bubble. It’s important to remember that, for every Amazon.com, there were about 10,000 failed ideas that lost their investors millions. And, in all likelihood, you’re not the next Jeff Bezos anyway. Instead, take the time to review the website’s financial records with a keen eye for solid, consistent cash flow, a well-planned business strategy, and smart decision making. Although it’s alright for a relatively young online business to not yet be profitable enough to support the whole family (unless that’s what you’re searching for,) it’s not difficult for a web property to at least break even, considering how low the basic cost of domain registration and hosting is. If the site you’re interested in buying is losing money hand over fist, verify (either on your own or with the help of a professional accountant) whether that’s because the idea itself or the technology isn’t up to the task, or if it’s the current owner who’s falling short. Another important factor to consider is how much work is involved in running the site as it currently stands. There are many ways smart online business owners can leverage technology to automate manual processes, but it’s unlikely you’ll ever be able to truly “set and forget” a financially successful online property. The competition for every search term - and the need for differentiation among competitors - is far too fierce for that to work. So, find out from the current owner just how much time they put into running the business and what roles they play. In addition, identify what work - if any - the owner entrusts to employees and/or freelance help, and how much that costs. If the current owner has important skills you lack - say, HTML coding or web copywriting - do the necessary research to determine how much it will cost you to replicate their efforts with hired help. It’s also important to make your desired workload part of the decision-making process. Just because the current owner absolutely loves the work and thinks nothing of spending 100 hours per week at it doesn’t mean that’s compatible with your schedule. And if that’s truly what it takes to profitably run the site, it’s going to cost you more than it costs the current owner. Assuming most - if not all - of the areas we’ve covered so far have left you impressed with the website you’re considering buying, it’s safe to say the current owner has done a fairly good job of treating it like the business it is, and they have a solid handle on how to effectively manage and grow an online property. Don’t make the mistake of assuming you can do it better and coming in with grand plans to overhaul the entire system. If it ain’t broke, as they say, don’t insist on fixing it just because it’s yours now. Instead, make note of the systems already in place and ask plenty of questions. If you choose to buy the website, keep things unchanged for at least a few months while you follow the existing procedures and pay extra close attention to the results. Then, after you’ve had some time in the pilot’s seat, you can start to tweak things here and there to see where improvements can be safely made. Again, assuming your due diligence has come up positive and you’re still serious about buying this website, you can save yourself a tremendous amount of time, effort, and money - not to mention headaches - by learning from the current owner what experiments have failed in the past and how they went about developing the processes currently in place. Often, there’s more to be learned from failure than from success, and every lesson they’ve already learned is one less hard knock you’ll need to experience along the way. Of course, the online world is constantly evolving, so it’s possible that marketing tactics and other experiments that failed last year may be worthy of another try next year, but you should go into that with full knowledge of what happened last time, not just blindly trying the same thing, thinking it’s a novel idea. Finally, as you would for any other business you may consider buying, spend enough time on general market research and specific competitive research pertaining to similar sites to the one you’re considering. In some cases, even the most effectively managed website can simply be outgunned (or, more accurately, outspent) by someone bigger or more established. Going back to Amazon as an example, nearly every eCommerce site on the planet has to compete with Amazon to some extent. But if you’re considering buying an eCommerce site specializing in self-published ebooks by indie authors, “compete” isn’t even the right word to use. You’re going to be annihilated by Amazon.com and their Kindle division. That doesn’t mean that an indie author ebook site can’t possibly succeed. It means that it has to be so clearly differentiated from Amazon and with such a focused target audience, Amazon doesn’t really factor into your market at all. Unless the current owner has already accomplished that or you can see a very clear path to accomplishing it profitably once you buy the site, it’s probably best to find an online property that’s more likely to succeed. Hopefully this realistic, straightforward approach to seeking and evaluating websites for sale hasn’t scared you off from the idea. Buying an existing website is an excellent way to jump into online business as long as it effectively meets the standards set in this article. After choosing the right property to begin with, you’re in a great position to make a success of online business if you view it and manage it like any other business you could be running.